Data Recovery services staff specializes in dealing with RAID arrays. Irrespective of the reason of RAID drive failure, our expert engineers are at their best while dealing with RAIDS. RAID arrays are complex in nature that is why in case of any problem it is very difficult to diagnose. But our competent and skilled experts are well conversant with new technologies and the way to use them as a tool to recovery data from failed RAID Arrays. Hardware failure will occur if one or more of the drives in array fails to respond or controller failure or damaged stripping or software failure occurs in case of virus attach or software upgrades. 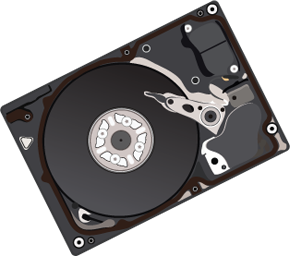 If you ever experience any data loss from RAID array or any other multi-disk storage media, it is not recommended to try to repair or rebuild the RAID by yourself as it may further complicate the problem and if there is any chance of data recovery, it may be lost as RAID drives are complex in nature and difficult to deal with but professional who are familiar with such complication can deal with such situation. Our data recovery team is fully trained to handle any problem regarding RAID disk failure. 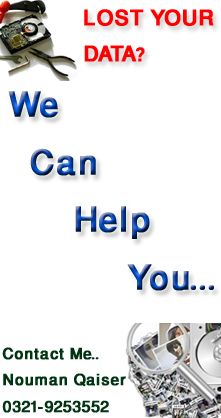 Our motto is to recover lost data keeping in mind the constraint of time and money. A reliable and satisfactory solution is given by Data Recovery Pakistan. You can contact us any time 24 hours a day. We are offering 24/7 Emergency Data Recovery Services in any disastrous situation. Copyright @ 2006 Shan Computer Service.All Rights reserved.